Toddler-powered. No batteries required! 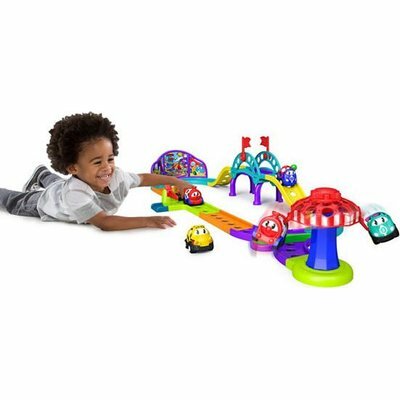 Easy-to-grasp signature Oball design makes the train easy for little fingers to pick up and play! Switch directions of the track so the Go Grippers train and take a ride at the Oball City Merry-Go-Round. 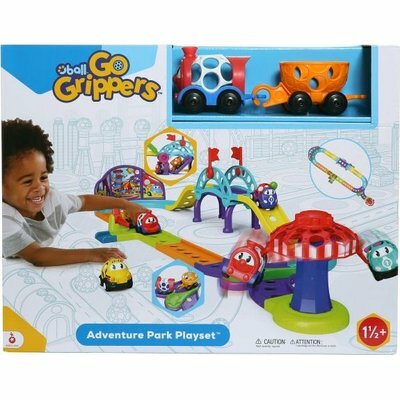 Includes Go Grippers 2 piece train. Works with other Go Grippers vehicles, sold separately. Easy-to-grasp signature Oball design makes the train easy for little fingers to pick up and play! 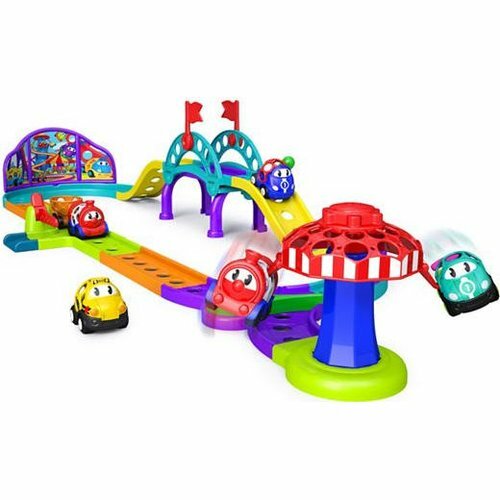 Switch directions of the track so the Go Grippers train and take a ride at the Oball City Merry-Go-Round. Includes Go Grippers 2 piece train.